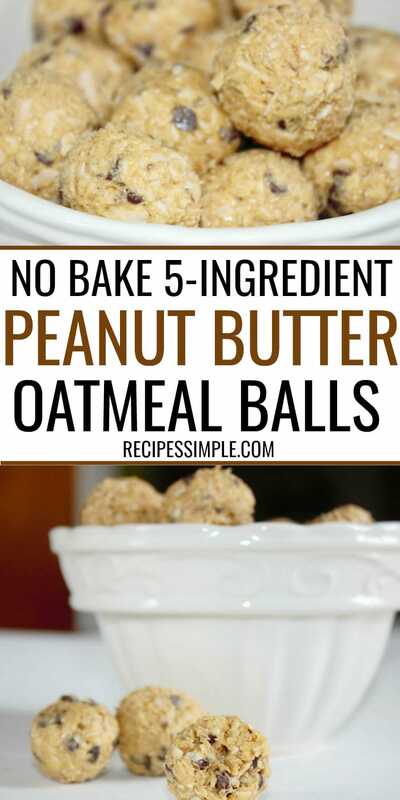 These Peanut Butter Oatmeal Balls are quick and easy with only 5-ingredients. Perfect for a healthy snack, a quick breakfast, or a treat in the kids lunch boxes. 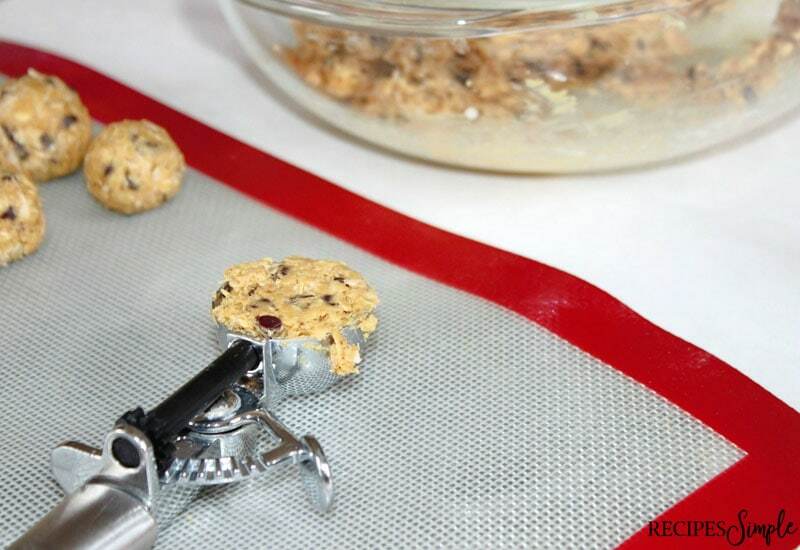 This is the easiest snack to make that everyone will love. 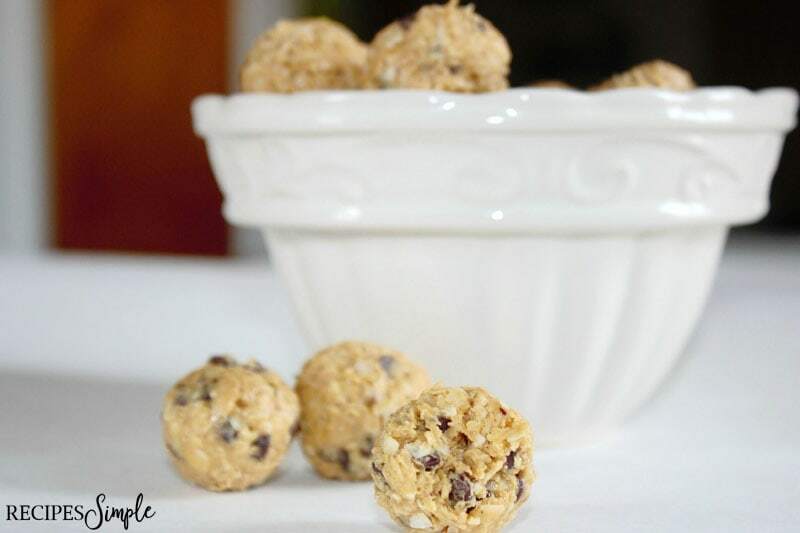 These are a healthy, tasty and filling protein ball recipe that will become a favorite snack. Peanut Butter is provides healthy fats and fiber 7 grams of protein in one serving. 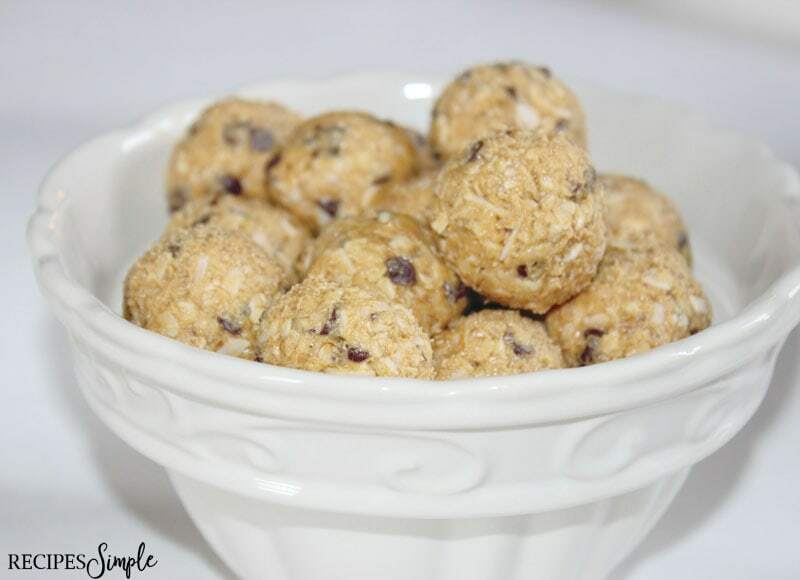 Perfect snack for a boost of energy to get you through the day. 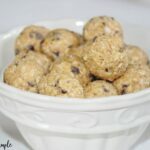 To Make Peanut Butter Oatmeal Balls you’ll need old-fashioned oats, creamy peanut butter, honey, coconut flakes and mini chocolate chips. Line a baking sheet with wax paper. 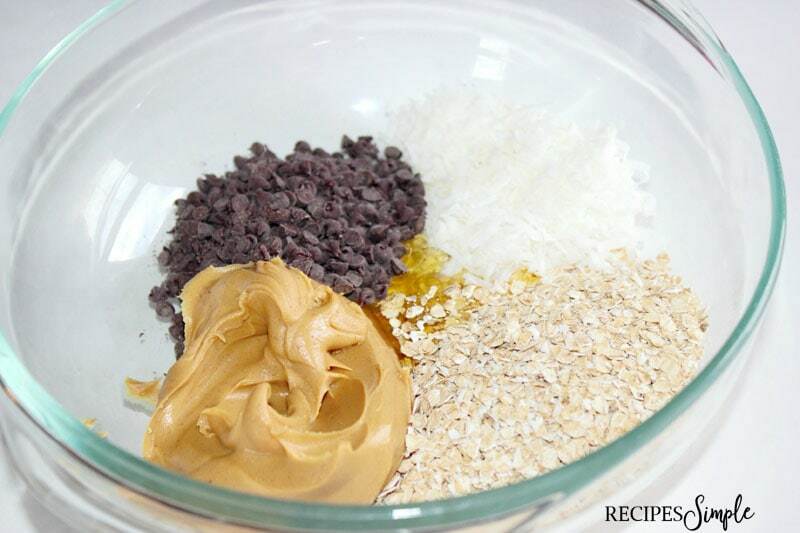 Add old-fashioned oats, peanut butter, honey, coconut flakes and mini chocolate chips to a large bowl and mix until everything is combined well. Cover with a lid and put in refrigerator for one hour. 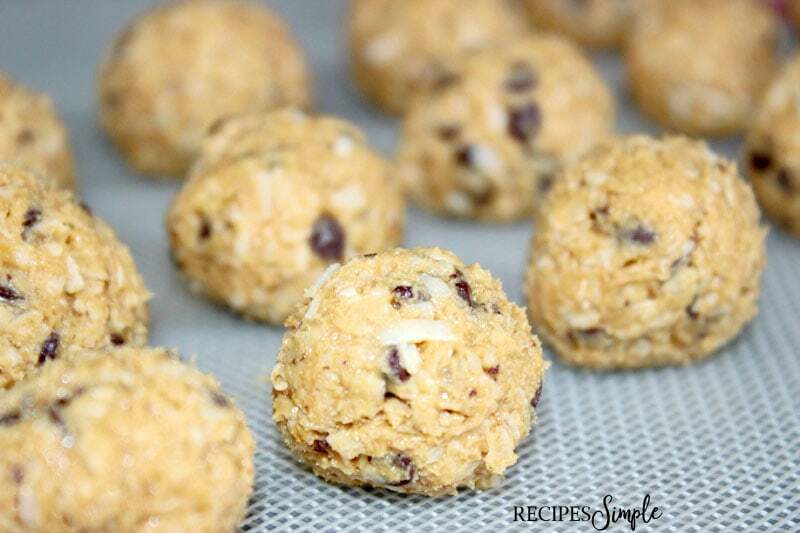 Scoop out a tablespoon of the mixture and roll into a ball and place on your prepared baking sheet. Repeat until all the dough has been used. Place balls in the refrigerator or freezer to set. Once set transfer balls to airtight container and store in the refrigerator or freezer. You could add ground Flax seeds, Chia seeds, or Wheat bran. Try mini dark chocolate chips, semi-chocolate chips or white chocolate chips. Use almond butter or sunflower butter instead of peanut butter. 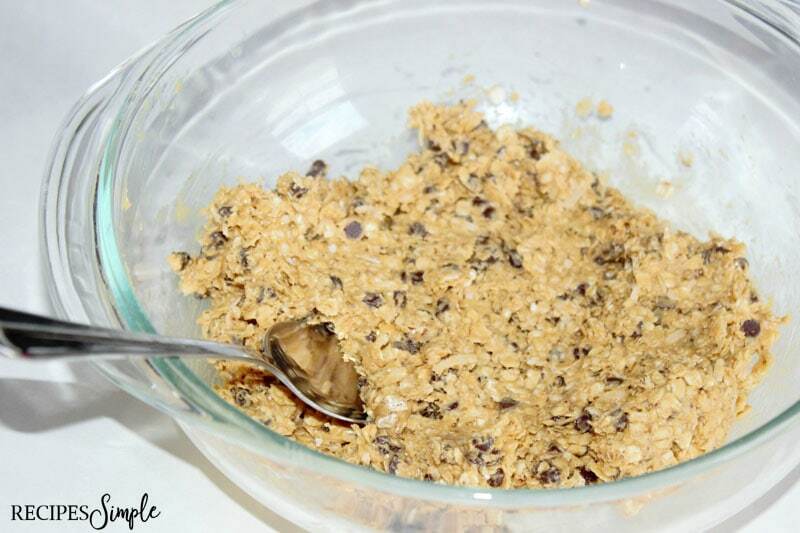 Add all ingredients to large bowl and mix until everything is combined well. Cover with a lid and put in refrigerator for one hour. Place balls in the refrigerator or freezer to set. Once set transfer balls to airtight container and store in the refrigerator or freezer.